With the fine dry weather we have been experiencing in July and forecasted for August, a lot of people are enjoying the outside and using barbeques. With this in mind please be careful when setting up, using and disposing of your BBQ/Charcoal. 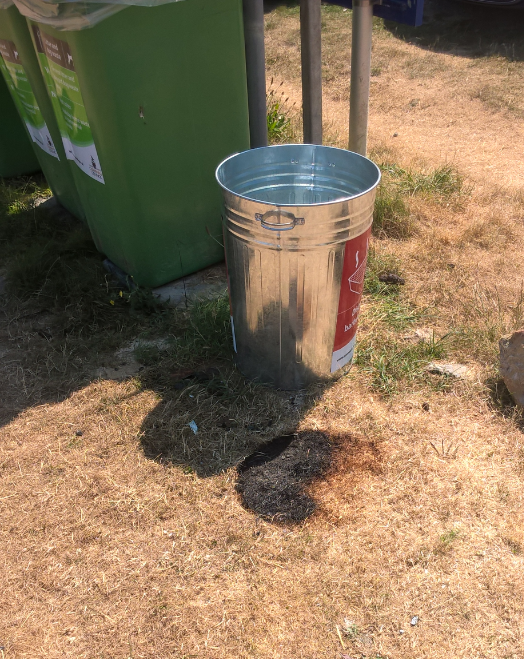 Below is a picture taken last week on Trevone Green, a disposal BBQ has scorched the grass, we are very lucky that a fire wasn’t started. There are silver dustbins provided for safer disposal of these portable/disposal BBQ. Early this month Cornwall Council released a media piece on BBQ Safety and they have more advice on their website.